OSCPA volunteer leaders and staff represent your interests both at a local and federal level on issues affecting you and the CPA profession. On a local level, member contributions to the OCPA/Legislative Action Committee (OCPA/LAC) enable us to personally visit with legislators to advocate for the profession. Members can also participate in the Key Person Program to connect with state legislators whom they know personally to explain or pass on information beneficial to the profession. Additionally, members serving on the legislative policy, taxation, and various other committees analyze and monitor bills, prepare testimony, and testify in front of legislative committees as the need arises. On a federal level, OSCPA works in cooperation with the AICPA's legislative affairs team to support federal legislative activity related to the CPA profession, CPAs' clients, and the public-at-large. Advocacy on behalf of member CPAs is an important benefit of your OSCPA membership. 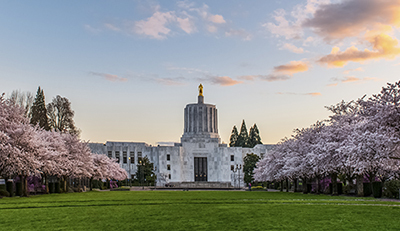 The OCPA/LAC is the CPA profession's legislative action committee in Oregon. It was formed well over three decades ago to support candidates in Oregon Legislative offices who understand the profession.